Employees in the Americas raised funds to provide off-grid electricity to three remote health clinics with the nonprofit We Care Solar. The nonprofit makes the innovative Solar Suitcase, a solar-powered battery charging unit that powers LED lights and small medical devices. Earlier this year, several Arrow teams worked with the nonprofit to design and manufacture the next-generation Solar Suitcase. Extensive field testing in Uganda will continue in 2019. Arrow donated 6,250 items of clothing and other supplies to the Denver Rescue Mission. The nonprofit operates the largest homeless shelter in Arrow’s headquarter community, as well as providing other transitional and rehabilitation services. Sixty employees from Arrow’s corporate finance team built 53 bikes with Wish for Wheels for an entire second grade classroom in Denver, Colo. After the morning build, employees spent the afternoon surprising the students, fitting helmets and making bike adjustments. For International Volunteer Day on Dec. 5, employees at nine locations in the Americas volunteered their time, raised nearly $10,000 and collected 15,900 pounds of food with local food banks, enough for over 40,000 meals for families in need in the United States, Canada, Mexico and Brazil. Arrow Australia also collected items for a local food bank, totaling over 165 pounds. Employees in Gdansk, Poland, participated in Noble Gift, a holiday campaign that provides aid to families in need nationwide with the nonprofit The Wiosna Association. Arrow sponsored a family that lost their home and possessions in a fire. Employees shopped for and wrapped items to be delivered to the family, which included clothing, kitchen items, a new stove, bedding, food and more. 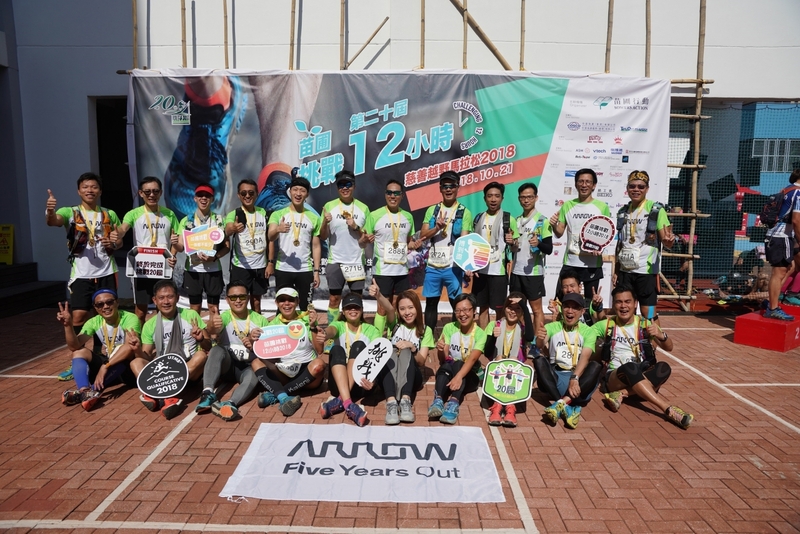 Employees in Hong Kong took part in Sowers Action 12-Hour Cross-Country Marathon, a charity race that raises funds for the underprivileged children and orphans in Mainland China. A total of 24 runners finished the 26-kilometer, cross-country marathon, and 30 additional employees came out in support. Annually, Arrow supports humanitarian programs and projects that directly impact hundreds of thousands of people in need in the Americas, Europe, Asia and Africa. Arrow’s partner organizations, in turn, support 8.3 million people globally.